Mr. Cooke joined ARM Energy in January 2016 and is serving as General Counsel. Prior to joining ARM Energy, David has had additional in-house experience as the Assistant General Counsel for Element Markets LLC in Houston where he provided counsel on renewable energy development, project financing, environmental credit marketing and brokerage services. He was also responsible for the regulatory and compliance duties of project developments and general corporate matters for over 700 entities including independent power producers, utilities, co-ops, oil and gas chemical companies, cement producers and pulp & paper manufacturers. David has also worked as an Associate at both Locke Lord LLP-Houston and Simpson, Thacher & Bartlett LLP-New York where he focused his practice on corporate and energy law, with particular experience in mergers and acquisitions, public and private equity offerings, debt offerings and general corporate governance. He has worked on private and public company transactions, including stock and asset purchases and sales, joint ventures, debt and equity offerings, and business restructurings. 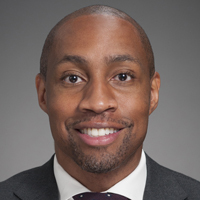 Mr. Cooke received his undergraduate degree in Political Science at University of North Carolina, Master of Public Policy from Duke Sanford Institute of Public Policy, and Juris Doctor from Duke University School of Law. © 2019 ARM Energy All rights reserved.